Halloween’s roots in witchcraft and Druidic paganism are undeniable. When we examine the history of Halloween, one thing we find out very quickly is that it is based on the ancient pagan religion of the Celtics in Northern Ireland and their celebration of the festival of the dead, known as Samhain. In Northern Ireland, a class of ruthless priests known as the Druids ruled Northern Ireland through occult terror and human sacrifice for centuries. Today, Ireland celebrates Halloween with fireworks displays and is the only nation on earth that recognizes Halloween as a national holiday. Children in Ireland are given a week off from school for its observance. 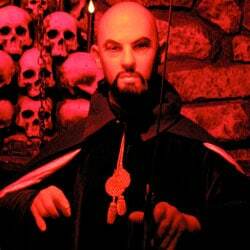 Halloween, as we know it today, is a modernized version of the Druidic festival of the dead. The powerful Druid priests were deemed kings of the occult practitioners, and were known for worshipping evil spirits and sacrificing humans to their demon gods! The Celts celebrated the day of death in anticipation of the dark, cold winter months. 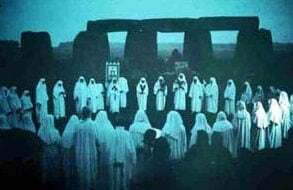 The eve of Samhain marked the special time of the year when the Druids taught that demons, souls and gods were unleashed on the world to bring blessing or wreak havoc and destruction on unsuspecting souls. 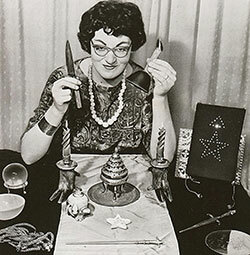 Witch and Wiccan high priestess, Doreen Valiente, who authored “The Witches’ Rune” and helped pen a significant amount of the occult content that is foundational to modern day Wicca, stated that Halloween is a special holiday for witches. Halloween is steadily gaining ground on Christmas as America’s favorite Holiday. In 2014, the National Retail Federation’s annual consumer spending survey revealed that Americans spent a whopping $7.4 billion to celebrate Halloween. $2.8 billion was for costumes ($1.1 billion for children’s costumes and $1.4 billion for adults). Another $2 billion was spent on demonic decorations and the rest on candy. While many still choose to rejoice and celebrate our Lord Jesus’ birth on Christmas as the incarnation of God in human flesh (John 1:1-3, 14), for many Christmas has become nothing more than a materialistic endeavor. It makes perfect sense that Christmas would fall by the wayside and Halloween would grow in prominence, as the scriptures warn that many would turn from Christ in the last days and that an occult revival would ensue as a harbinger for the coming Antichrist and new world order (Matthew 24:9-10, 24-25; 2 Timothy 3:1-8; 2 Thessalonians 2:9-12; Revelation 13:1-18). “For this purpose the Son of God was manifested, that he might destroy the works of the devil” (1 John 3:8b). “He has rescued us from the dominion of darkness and brought us into the kingdom of the Son he loves, in whom we have redemption, the forgiveness of sins” (Colossians 1:13-14). When we came to Christ we were delivered “from darkness to light and from the dominion of Satan to God” (Acts 26:18), should we then return to Satan’s kingdom and celebrate after having been set free? “When you enter the land which the LORD your God gives you, you shall not learn to imitate the detestable things of those nations. There shall not be found among you anyone who makes his son or his daughter pass through the fire, one who uses divination, one who practices witchcraft, or one who interprets omens, or a sorcerer, or one who casts a spell, or a medium, or a spiritist, or one who calls up the dead. For whoever does these things is detestable to the LORD; and because of these detestable things the LORD your God will drive them out before you. You shall be blameless before the LORD your God. For those nations, which you shall dispossess, listen to those who practice witchcraft and to diviners, but as for you, the LORD your God has not allowed you to do so” (Deuteronomy 18:9-14). We see here one of the most inclusive lists of activities upon which Halloween was established that can be found anywhere in the bible, and the practitioners thereof are labeled “detestable.” Those habits are, in fact, the very reason the Pagan nations were driven out of the Promised Land.